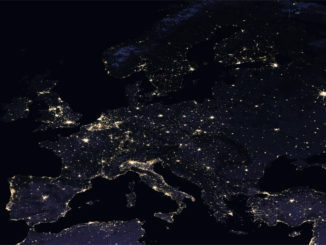 Five years of advanced satellite images show that there is more artificial light at night across the globe, and that light at night is getting brighter. 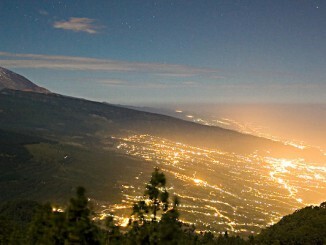 In addition to being a scourge for astronomers, light pollution also affects nocturnal organisms and the ecosystems in which they live. This new atlas shows that more than 80 percent of the world and more than 99 percent of U.S. and European populations live under light-polluted skies. 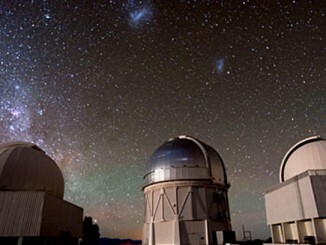 The Milky Way is hidden from more than one-third of humanity. 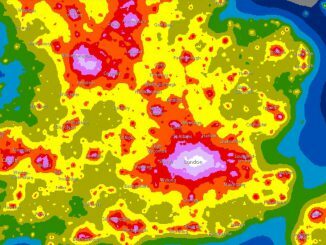 Those of us living in cities, towns and villages are subject to varying degrees of light pollution — the inappropriate use of artificial light at night. But we don’t have to lose our stars as there are ways to mitigate the skyglow. Learn what you can do to help during International Dark Sky Week, 4—10 April. The Canyonlands National Park in southeastern Utah, USA is visited by more than 400,000 people each year. 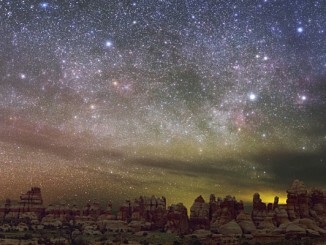 The International Dark-Sky Association has now granted Gold-Tier International Dark Sky Park status to Canyonlands, an honour reserved for the darkest of dark skies and the most stunning of starscapes. 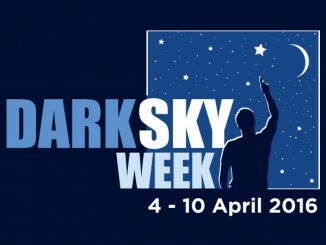 International Dark Sky Week is an annual worldwide event, held 13th—19th April this year. A key component of Global Astronomy Month, find out what practical measures you can take to help reclaim the stars.